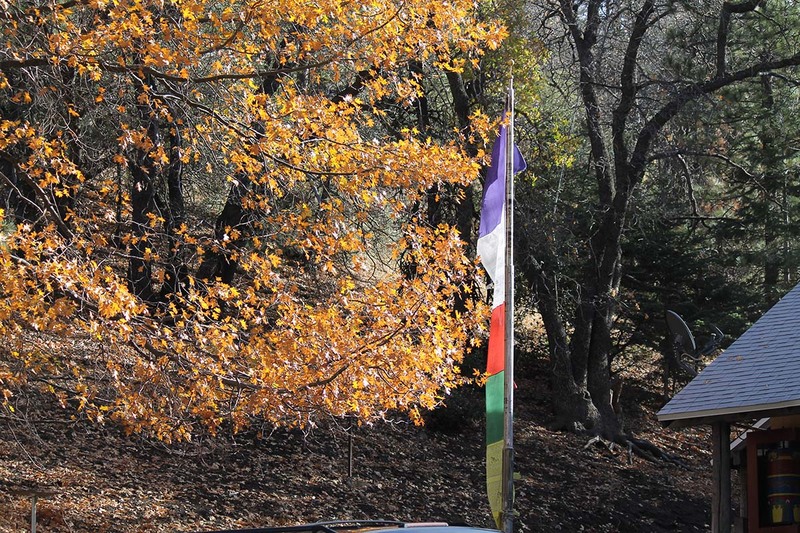 This weekend I drove to Tehachapi, CA (about 2.5 hours north of Los Angeles) to experience what I thought was going to be a retreat; or at least, a “retreat” according to my newbie Buddhist mind. Indeed, it was a retreat, but the term is used very differently here in the land of the Nyingma Tibetan Buddhist lineage. What a Westerner like me would call this weekend was, well, an exercise of sitting absolutely still, listening, and never ever talking for about 14 hours. This may not seem like a big deal, but it was. What was really going on (and it took me about 4 hours to clue-in) was a full- on venerated Tibetan Lama (Venerable Gelong Kalsang Rinpoche), who sat with us on the floor (in Tibetan style) and read to us from a book that has yet to be translated into English (or, it is not finished yet). Yep. he read in Tibetan, and then what he said was translated to us in English. Over the weekend, there were two translators, and both were amazing and excellent in their ability to take ancient texts in Tibetan, understand them, and then tell us accurately what was read. Rinpoche was there to help the translators if they needed it, and they did. Rinpoche was very helpful in a serious and solemn way. Now, by custom, one who attends such teachings as I have done is not to talk about it with others. 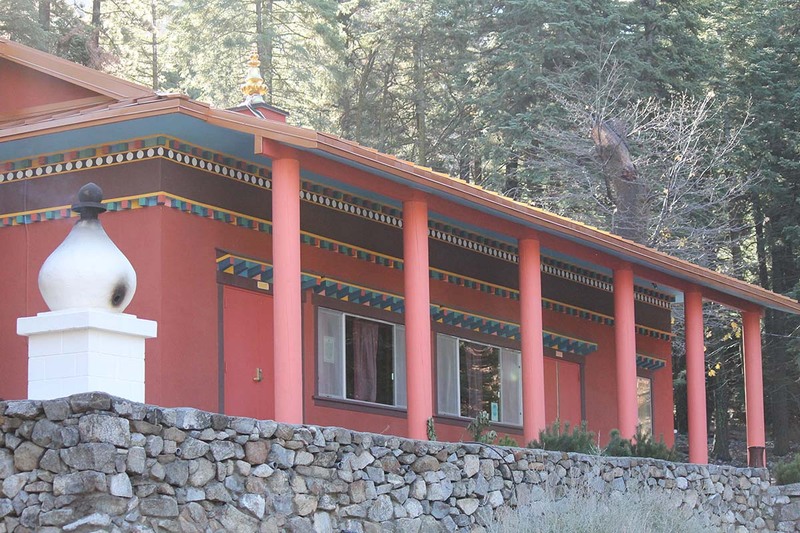 I think that the idea is that there is a very spiritually intimate relationship that happens between the Rinpoche and his students over 14 very intense hours. So, out of respect for the Tibetan Tradition here, I cannot divulge what the teachings in this ancient text were about. Sorry. 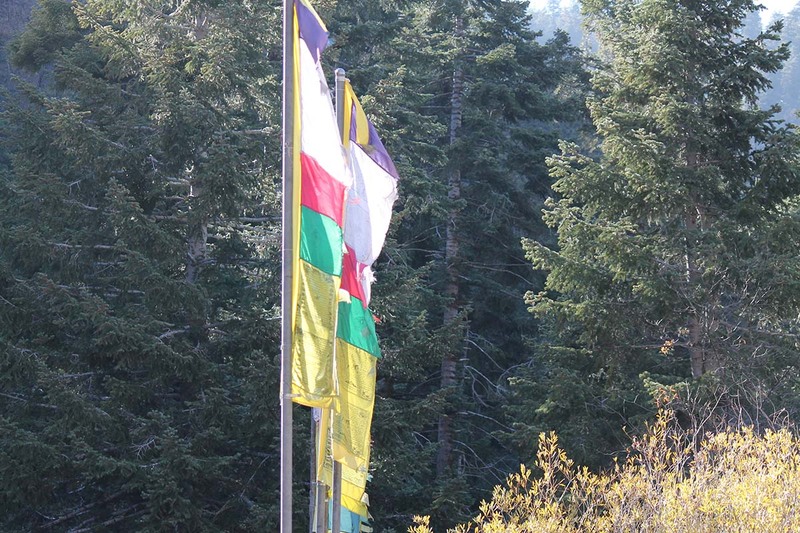 But I am into respecting what Rinpoche asked of me. What I can tell you is that Ari Bhod (Pema Drawa to be more exact) is a phenomenal place where people like me can go and experience an ancient tradition of teaching. I am pretty sure that I am correct in noting that this tradition has not changed in centuries, and that was one of the awesome things about this weekend. I can also tell you that this weekend was not for the faint of heart either. 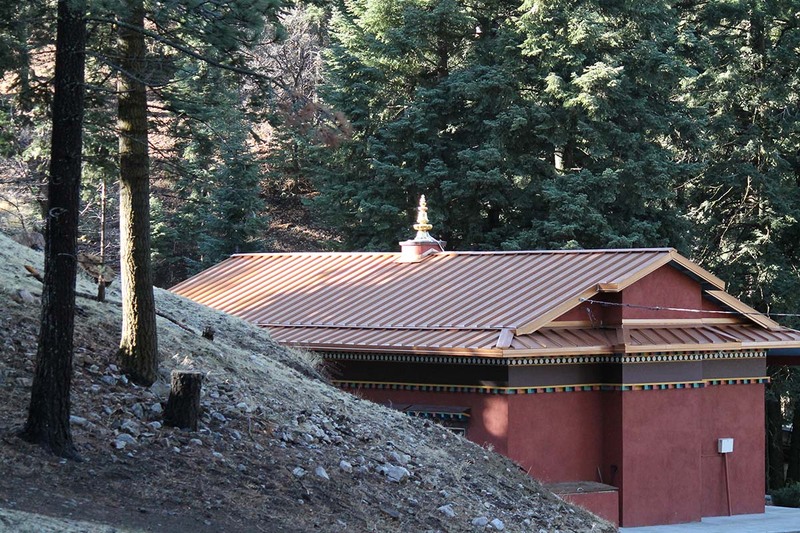 There really is no guidebook, or “orientation” to the Tibetan Buddhist ways here at Pema Drawa. I think the lamas pretty much assume that you have some foundation. It would be comparable to telling someone that they should have mastered at least through calculus before “taking this class”. But, in my usual “kath” way, I pretty much just showed up (although I was very honest about my lack of foundations and was given permission to attend anyway). In some ways, my years as a devout Catholic and doctoral studies in philosophy prepared me for the hours of sitting and listening to detailed teachings (without any repetitions or questions answered). But in many other ways, I was confused. Few people were there. Maybe 10 at the outside, and of these, 3 had to leave because they ran the office and cooked for the lamas and guests. That left about 7 of us. The entire weekend took place in the temple pictured above. I would show you the inside, but it is considered “rude” to photograph the temple’s interior, so, alas I have no photos for you. But, since I am writing mostly for k.d. lang fans, I took a bunch of other photos so you can get the idea about Ari Bhod, and its retreat land (Pema Drawa). Back of Temple in early morning. There is a resident cat here named “Elliott”. And though he is quite elderly, he had no problem checking me out as I arrived on Saturday morning. 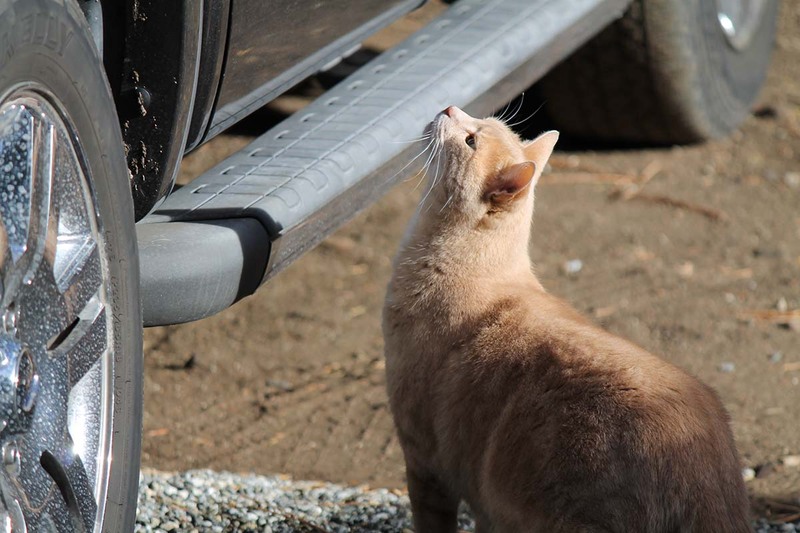 Elliott, the resident cat, inspects my truck. 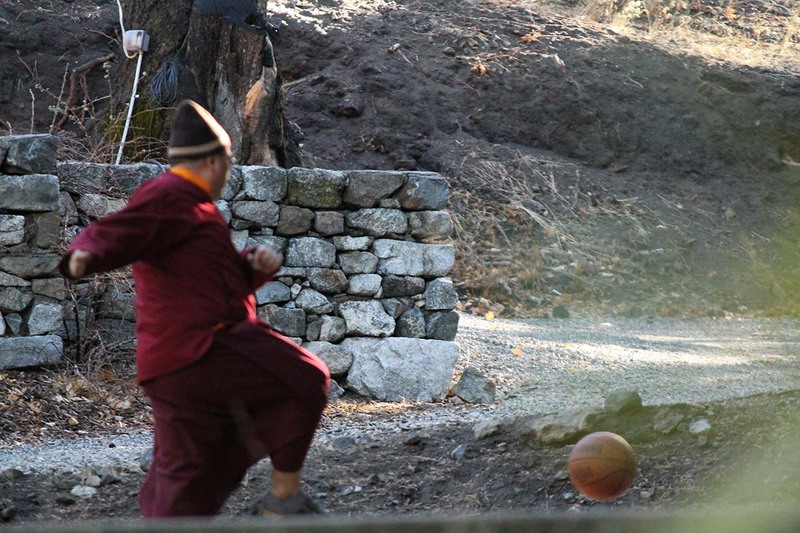 Did you know that lamas love to shoot baskets in the early morning after prayers? I am not sure if this is an image of a frustrated lama or not….Hmmmmm. A lama places more wood on the fire. 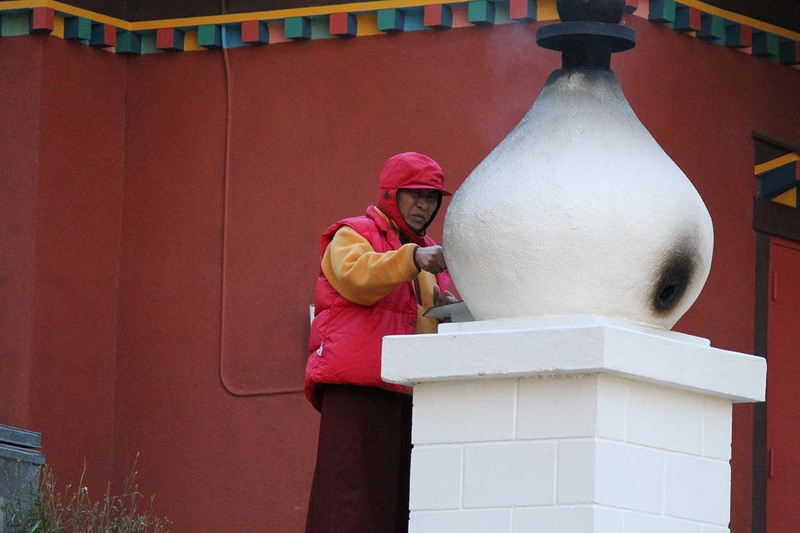 Part of the lamas’ morning ritual is to circumambulate the the temple in a clockwise direction. On his way around, this lama checked the fire. 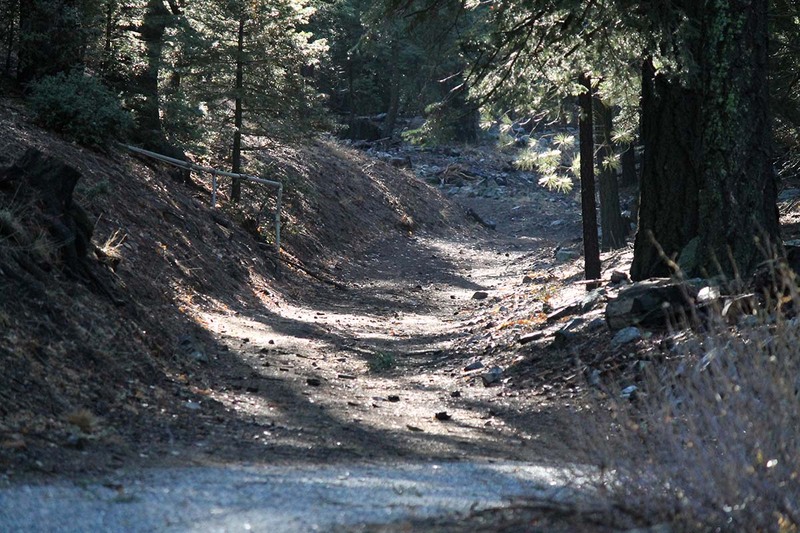 After the lamas said their prayers and circumambulated the temple, they disappeared up this trail. I did not follow them so what they did next, or where they went remains a mystery. 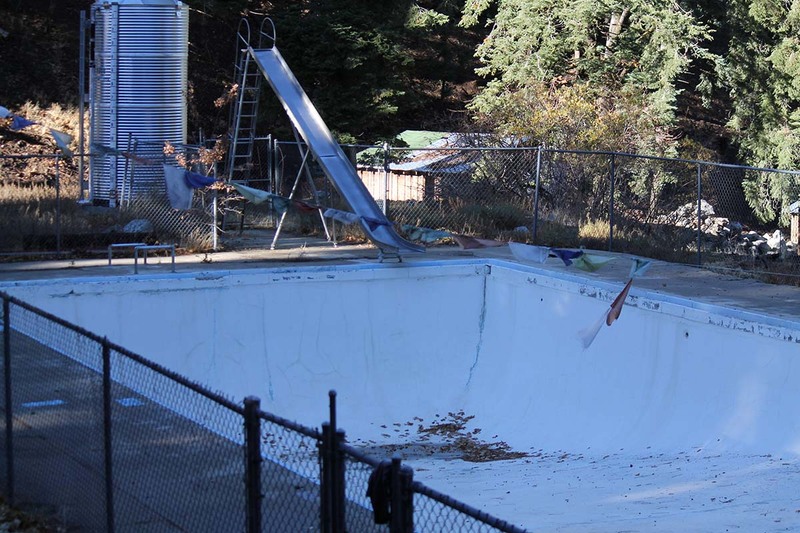 The land that Pema Drawa is on used to be a YMCA camp in the 1940s. The lama above is on the old basketball court. 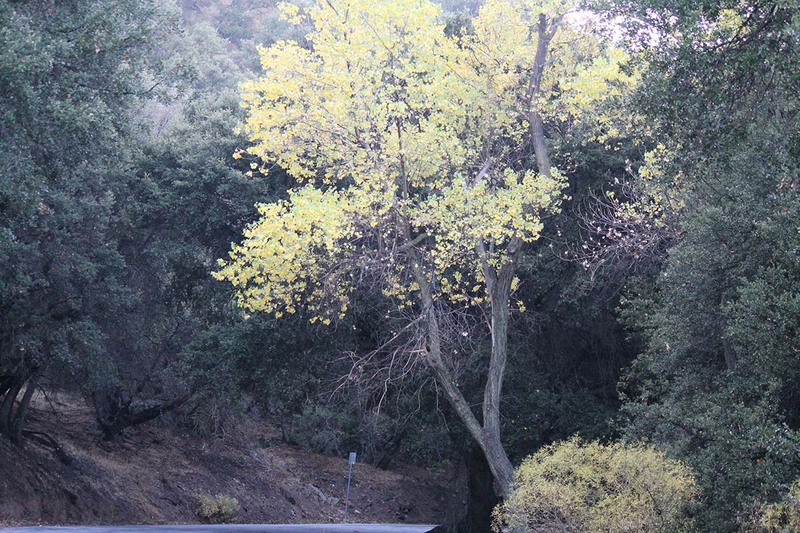 Here in California, the seasons start later, so it is still fall-ish in late November. You can see some of the colors. So, that was my weekend. k.d. lang is into a pretty cool thing here; keeping alive this ancient Tibetan lineage of Buddhism. The fact that she understands enough about this H U G E subject to know what she wanted to preserve is pretty amazing. Kudos to you k.d. You pretty much rock!